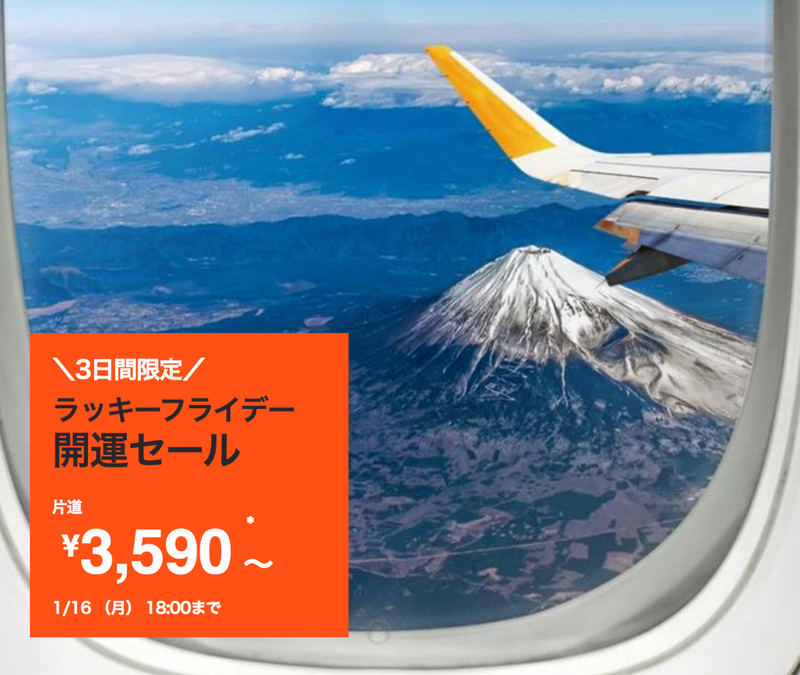 Spring Airlines ''737 Campaign'' November 7, 2016. 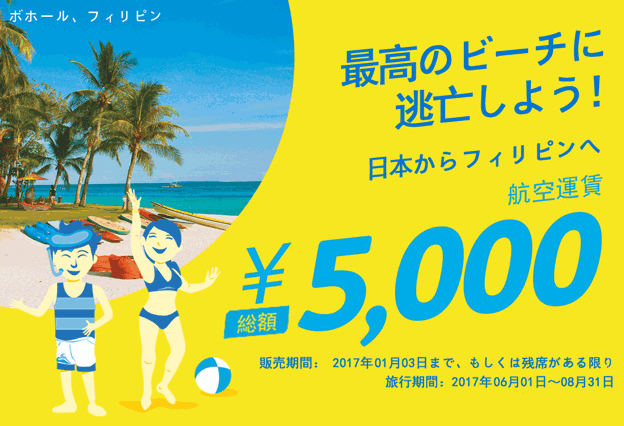 Spring Airlines ”737 Campaign” November 7, 2016. 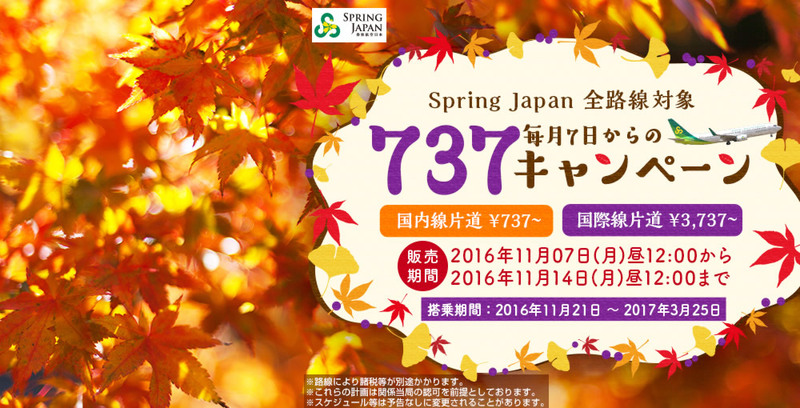 Spring Airlines is having “737 campaigns” on November 7, 2016. Sale period：November 7, 2016 at 12:00 p.m. − November 14, 2016 at 12:00 p.m.
Boarding period：November 21, 2016. − March 25, 2017. This campaign is held every month on 7th. 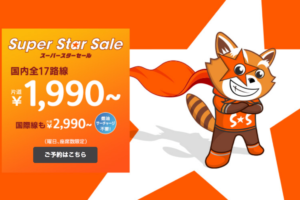 One-way fare 737JPY〜( US＄7〜), this is a deep-discount sale.